Since the recent release of some of the JFK papers, George Cassidy Payne has published several articles on various aspects of the assassination. Today, exclusively for Talker, George discusses how none of the newly released documents appear to establish the guilt of Lee Harvey Oswald. 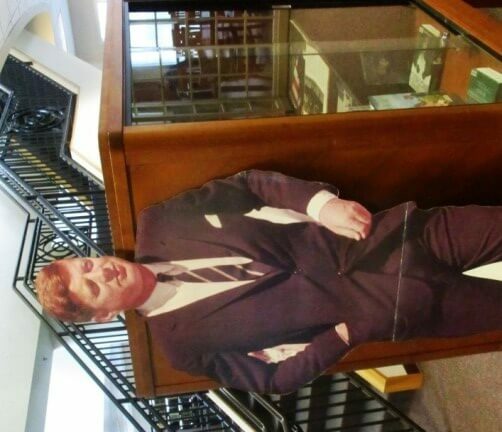 In addition to the new release of thousands of highly publicized JFK assassination files since October 26, 2017, there have been millions of pages released to the public over the past five decades. Theories of who actually killed the 35th president aside, not one of these documents establishes the guilt of Lee Harvey Oswald. Denied a trial, Oswald was instantly accused of being the assassin, first by the highest echelons of power inside the American government, and then by the major news corporations of the time. Within an hour of the murder, one of the most complex and endurable discrediting campaigns in the history of criminal justice began in earnest. But did the government ever prove their case? Without wading into the suffocating thicket of pro lone gunman hypotheses, entangled official reports, and relentless disinformation from the powerful agencies tasked with discovering the facts, allow me to make a series of simple but incontrovertible points that demonstrate Oswald’s innocence. What Oswald knew about the plot and what role he played on Friday, November 22, 1963, will continue to be a hotly contested mystery among researchers. But thanks to the remarkable work of truth seekers such as Mark Lane, Jim Marrs, Robert Groden, and others, we now know that the government’s explanation of the assassination is impossible. First and foremost, no witnesses saw Oswald in the sixth floor window of the Texas School Book Depository. The witnesses who claimed to see a man in the snipers nest had no way of positively identifying the person beyond a reasonable doubt. To see an image through a window at a distance of 100 feet or more is very difficult from any angle. When questioned, no witness was able to give any details that would match a description of Lee Harvey Oswald. All that was reported to the authorities is that an individual or individuals were seen lurking behind the window in question. Could it have been another Texas School Book Depository? Could it have been one of the unknown secret service officers roaming around Dallas that day? Could it have been any other Dallas citizen? Could it have been a conspirator? Secondly, Oswald’s palm prints were not found on the murder weapon. Although the FBI was quick to deny finding Oswald’s prints on the rifle, even if they did make this discovery, it would not be proof that Oswald fired the weapon. All it would prove is that Oswald or someone with his prints touched the weapon at some point. Needless to say, it was not impossible for the conspirators to plant such a weapon if they had access to it beforehand. But again, the FBI never said they found Oswald’s palm prints on the gun that killed Kennedy. Thirdly, the Parafin Test, which indicates a level of gun powdered nitrates on a shooter’s fingers and/or cheeks (if they fired a rifle) was not conclusive. In actuality, the test exonerated Oswald; for the Parafin Test conducted by the FBI came up negative for residue on his face. If Oswald fired a rifle that day, he would have had nitrates on his cheeks. There is good reason why the FBI never made this test a focal point of their case against Oswald, and why courts today do not admit Parafin Tests as being reliable evidence. Moreover, the weapon found could not fire 3 shots in 5 seconds. The police on the scene initially reported a German Mauser as the lethal weapon, but they changed their story later on when it became clear that they could link Oswald with a purchase of the Italian Carbine. In hindsight, the conspirators would have been wise to stick with the Mauser. But in the heat of the day’s momentous events they were not thinking about every conceivable ballistic detail when they opted to switch the make and model of the weapon. That said, it is doubtful that a poor shooter such as Oswald, with an obstructed vantage point and a moving target would have been able to get off three shots with the Mauser either. In order to account for the number of shots fired, the Parkland Hospital testimonies of where the entry points were on the body, the safeguards of the coverup resorted to the so called “magic bullet theory,” which is physically absurd and disbelieved by nearly half of the Warren Commission itself. Moving on, it is also preposterous to think that Oswald, if he was a suspect minutes after the shooting, would not have been arrested when he was confronted (unwinded and perfectly composed) by a Dallas police officer in the second floor lunchroom nearly 90 seconds after the shots were fired. If Oswald was not a suspect, why threaten to arrest him as the officer reportedly did? After-all, no one else was singled out in the room. If he was the man they were looking for-or if he looked at all suspicious-then why not take him in as a matter of protocol? The fact that Oswald was allowed to simply walk out of the building and go home — under those remarkable circumstances — is unbelievable. Just how the authorities knew to look for Oswald before they had even finished investigating the various crime scenes is also peculiar if not a dead giveaway. Who knew that it was Oswald they were looking for? Why did the FBI, Secret Service, Dallas Police and other law enforcement agencies assume based on a description of Oswald that he was not working with anyone else? How could Hoover say on Saturday, November 23, 1963, that the case was essentially close? This is the shoddiest police work in American history, or it was an attempt by the country’s most influential crime fighter to mask the crime of the century? As a noteworthy side remark, the story that Oswald came to work that day with an unusual package under his arm is vague and unsubstantiated. Who saw him and what exactly did they see? Does their testimony prove that he had a rifle? The size of the package reported was too small to fit the dimensions of a Mauser or Italian Carbine. Where did this story come from initially? Regarding Dallas police officer J.D. Tippit, I wonder where is the evidence that the real Lee Harvey Oswald committed this murder? Who saw him do this? How did they describe the man they were later told was Oswald? The official testimony provided to law enforcement that day does not match the physical description of Oswald. As a consequence, these testimonies were almost routinely misrepresented or omitted by the Warren Commission. And why did the Dallas authorities initially state that Tippit was seen in a movie theater? Was that information released too early? Was Tippit supposed to have been shot in the theater, where the real Oswald was naively waiting to meet his CIA handler? At this point, Oswald must have been growing increasingly nervous; yet he may not have known that he was being framed for not only Kennedy’s murder but also Tippit’s. The Oswald double had been seen entering the theater without paying around 1:15pm. This other Oswald wanted to lay a visual trail of evidence, while the real Oswald was being strategically positioned to have a violent altercation with the police, where he would be executed for resisting arrest. The fact that Oswald was not killed in the theater and had to be killed in the Dallas central police station two days later, unveils one of the most conspicuous mistake in the entire assassination plot. Supposedly the real Oswald drew a pistol when he was confronted. But this only confuses matters more. Who was witness to this? Where is the pistol today? And why didn’t the police shoot him if they believed he had drawn a weapon? Whether the newly released documents are allowed by the CIA and FBI to reveal it or not, the bottom line is that Oswald was a fall guy. But there were two Oswalds in Dallas that day. One of the Oswalds was sacrificed as an easily manipulated covert operative. The other Oswald was ordered by the same agencies to bring down his counterpart in spectacular fashion. When all of the evidence is objectively examined, this is the most plausible scenario. As I understand the Law, each fact must stand on its own. No combination of facts make a case more factual. Point by point, step by step, premise by premise, conclusion by conclusion, a case must be won on the merit of every single contention and supposition. In the case of Lee Harvey Oswald, the U.S. Government did not prove that he was a lone gunman; they just said he was and threw as much false information at the public as they could muster. 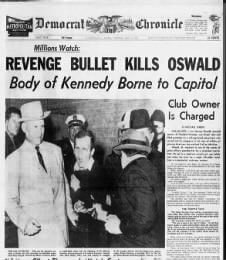 If Oswald was just a rogue Marine gone crazy, why continue to withhold documents about the assassination-documents that the U.S. Congress authorized to be released in 1992? Clearly there is more to the story than the government has told the American people. Otherwise the massive effort to conceal facts makes absolutely no sense whatsoever. To this day, the conspiracy is in full swing. Although it was one of the most shameful attacks on American jurisprudence ever to occur in our nation’s history, sadly, based on Trump’s inability to fulfill his duty, the newly released documents have done nothing to rectify this injustice. 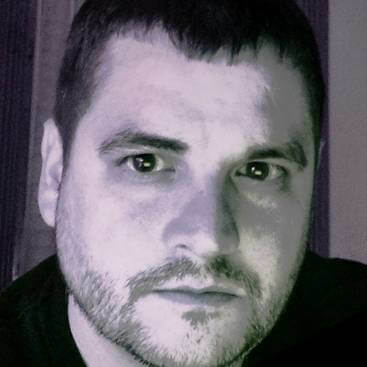 George Cassidy Payne is a freelance writer, domestic violence counselor, and SUNY adjunct professor of philosophy. He lives and works in Rochester, NY. Talker's experiment is an "incomplete success." But it's not too late.